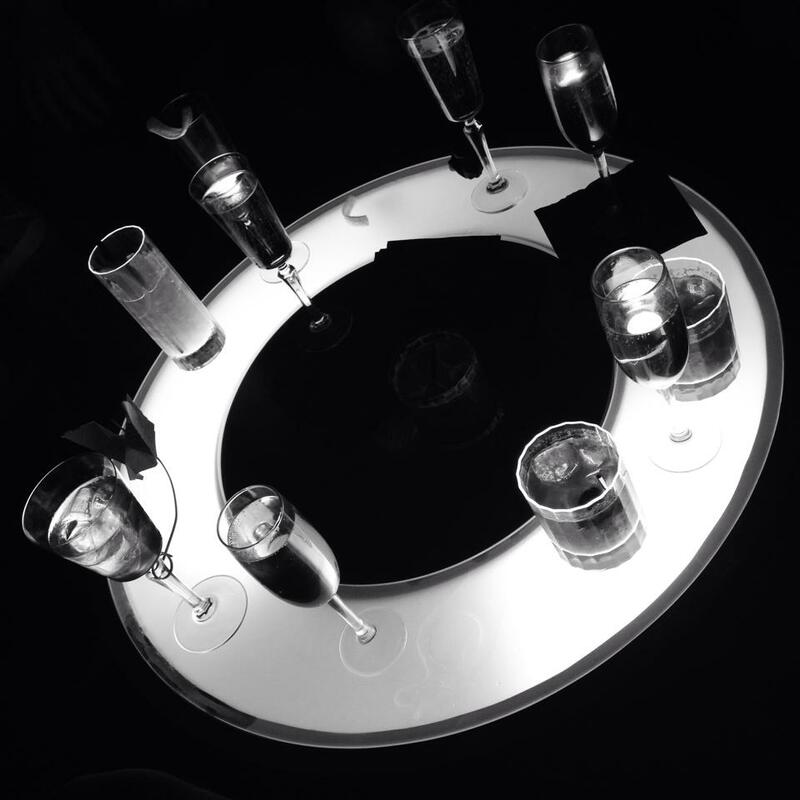 So, what were you doing last Thursday night? Oh, really? That’s cool. I’m not really interested, I just want to tell you what I did. Last Thursday I suited up and went to drink wine, eat some (more) Fat Hippo burgers and watch one of my favourite movies in an empty warehouse with a number of other humans. As you do. All very casual. 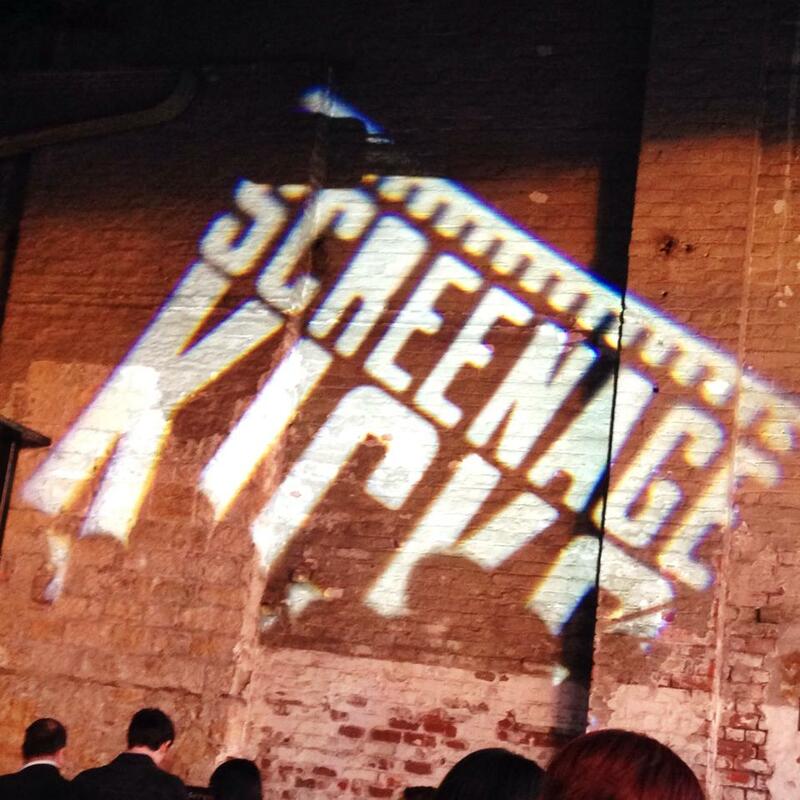 Introducing Screenage Kicks, whose local cult movie events are picking up speed. The second instalment in the SK series was a pop-up showing of Reservoir Dogs. For one night and one night only the Stephenson Building, behind Central Station became a fully kitted out cinema, complete with dimming lights, cinema seating, an enormous wide screen, complimentary gourmet popcorn (courtesy of Propercorn) and other classic cinema snacks. The dress code was the infamous Dogs black suit, white shirt, skinny tie and, for us ladies, a pair of heels. Sunglasses optional. Fat Hippo and The Sugar Down were working overtime, serving up dreamy all-American ‘Sliced Ear Burgers’ and Reservoir Hot Dogs as the sun went down. Hipster Points for creativity with the names there. The Cumberland Arms and Wylam Brewery were providing beverages at a pop-up bar or three. We *may* have vamoosed a few bottles of Malbec over the course of the evening, because movies require red wine and grilled meat, although sadly I didn’t get round to trying any of the themed cocktails the Cumby were offering. K-Billy’s Super Sounds Band were doing an excellent job of reminding us just. how. good. the Reservoir Dogs soundtrack is (Stealers Wheel anyone?) and, overlooking a bizarre dancey interlude which wasn’t really to my taste, the evening was a treat from start to finish. Night drawing in and the ‘immersive’ live parts of theatre running alongside the movie added a surprisingly intimate feel and kept the audiences interest piqued at just the right moments. No snoozing in the cheap seats here. I’m not exactly sure what I was expecting but I actually had a pretty good night. It certainly beats sitting in front of the tv after work in my pjs (although I’m far too cool to ever do that, obviously). If this sounds like it might also be your idea of a good time I reckon it might be worth a follow on the Screenage Kicks various twitter/Instagram/similar accounts to keep up date with future announcements and events. Although I’m not sure anything will beat Reservoir Dogs. But hey, every dog has his day. Would you like to meet Sarah? If you're interested in working together I'd love to hear from you.